Available as Pay What You Want. Designed for the Swords & Wizardry ruleset, but it can be easily adapted to most OSR systems. When a dog comes running to the players looking for attention, what dangers will they be led to? 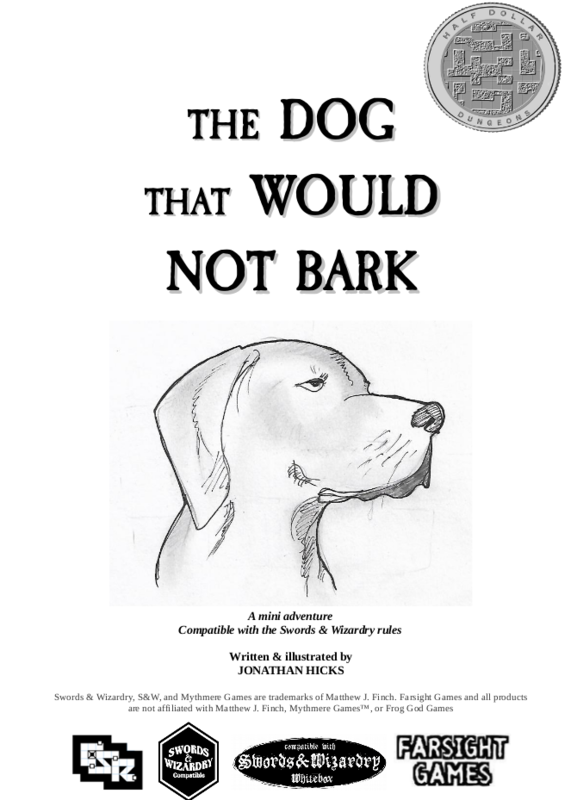 The Dog That Would Not Bark is an OSR adventure for Swords & Wizardry White Box, although it can be easily adapted for most classic OSR systems. The adventure is designed for a party of four adventurers of any race and class, and can be inserted into your existing campaign quite easily, no matter what world you’re gaming in. ‘The bright days could be annoying, with the sun forcing it’s way into our cramped office where the autoAC hardly noticed the temperature rise. Sat in that tight cubicle staring at a green and black coding screen and only allowed to get into the system with my wireless plug using the company-approved network was a chore and a ‘you are blocked from accessing this’ nightmare. Just when I thought my shoes would fill with sweat and I’d be forced to tear my monitor from its stand and beat my fellow workers to death with it, the 6:00 alarm would chime and, like the automatons were were considered to be, we’d file out to make room for the next shift. As we left the building we’d be glared at by wagecops and scanned by Tincops, making us feel all the more mistrusted, broken and abused. 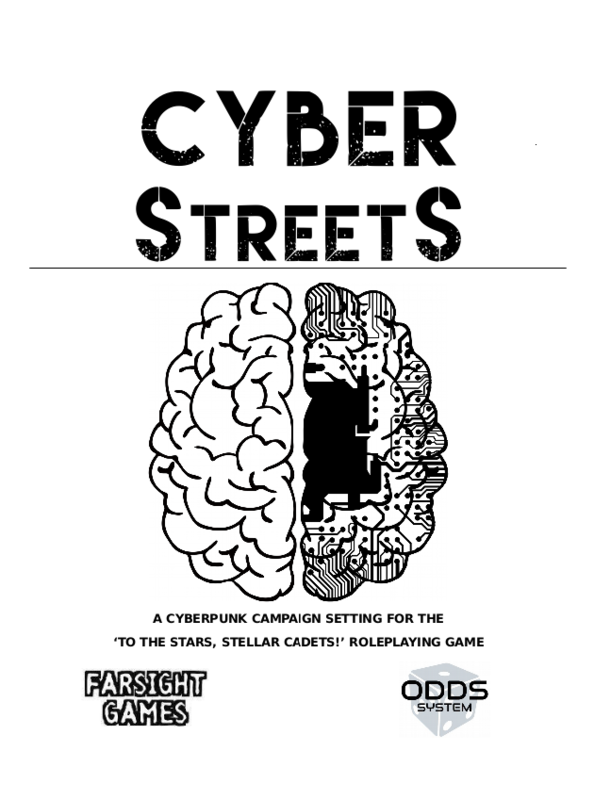 Welcome to Cyber Streets, a cyberpunk campaign supplement for ‘To The Stars, Stellar Cadets!’ This supplement is designed to use the original game rules as written with a few additions and changes for you to be able to use the rules in a cyberpunk setting. Requires 'To The Stars, Stellar Cadets!' for use. What if the Second World War didn’t end the way it did? What if the Axis forces had atomic weapons? What if they used them in the dying days of the war? ‘The 13th Year’ is a campaign setting for the ‘To The Stars, Stellar Cadets!’ core rulebook, set in an alternative reality. Hitler never died and actually developed his own atomic weapons. Not only that, but he used them on the world in an insane attempt to claim victory over his enemies. 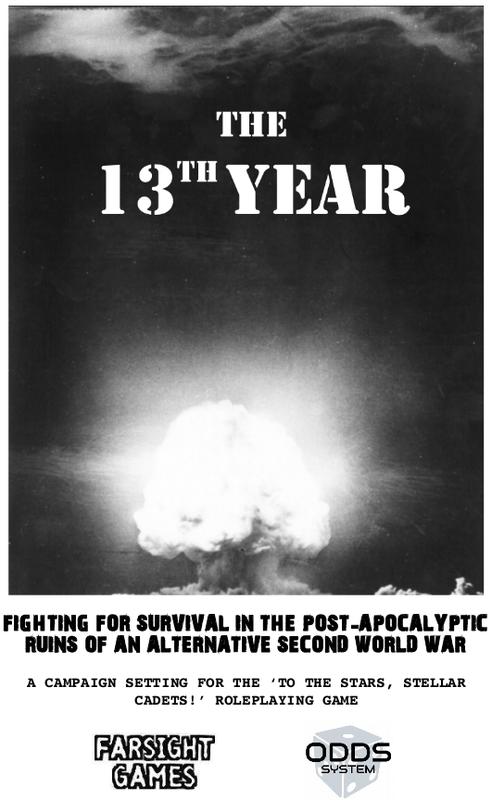 The survivors just want to survive, the military want to finish a war because they have no other purpose left in life. It is set in 1952, 13 years after the beginning of the Second World War, in a period when decimated governments are trying to claw their way back to power and old enemies resurface once again. Armies are on the move and the war continues, the sides pretty much carrying on from where they’d left off in 1945. It’s the Second World War set against a post-atomic holocaust wasteland. 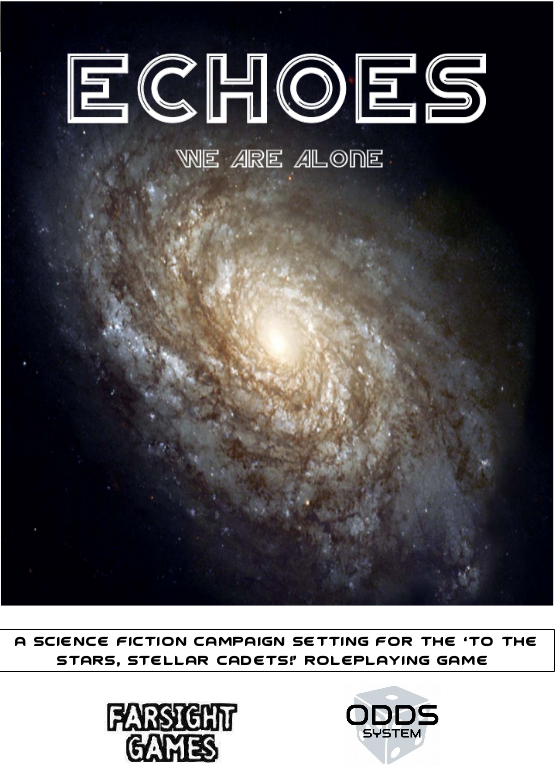 ECHOES is a science fiction campaign setting in which players explore dead alien cultures, uncover mysteries of long-forgotten races and try to make sense as to why hundreds of star-faring cultures simply vanished or died out, seemingly all at the same time. In this setting players will confront the dangers of hostile worlds, pit their wits against enterprises wanting to exploit new technologies, face off with corrupt government officials who want to use their discoveries to further their own agenda and outsmart dormant alien technologies not meant for human use. Whole star systems lie abandoned, and their inhabitants have long since perished. Contains background material - new Crew Positions, weapons, armour, starships and equipment - adventure ideas - 'Lowlight Stellarstation', a complete location from where you can start your adventures. 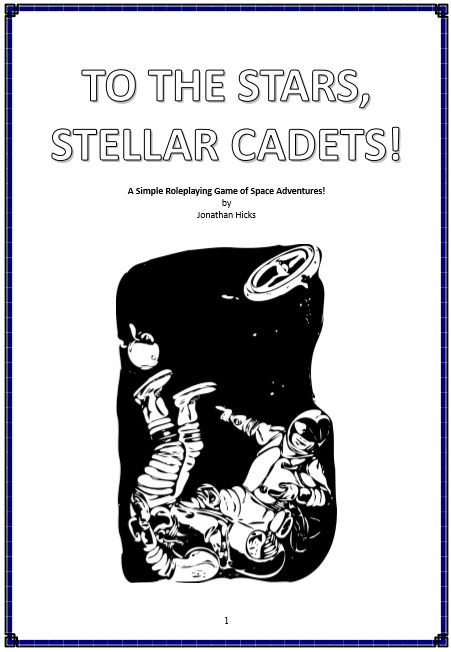 A while ago I released a free roleplaying game called 'To The Stars, Stellar Cadets! ', based on the pulp science fiction adventure serials from the 1930s through to the 1950s. I found some free images on the internet and decided to have a go at designing a game that incorporated those images, as well as use it to test out my single die ODDS System. Now the core rules, as well as the two adventures 'Danger on Bakk-Alpha-Four' and 'The Hiding Death', are available from DrivethruRPG as Pay What You Want products. 'Always dreamed of blasting through space on the back of a nuclear bullet trading laser fire with wicked alien menaces? How about exploring mysterious worlds and trading with exotic races? Perhaps you’d like to hunt down nefarious pirates in haunted asteroid belts? 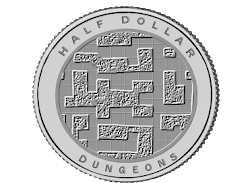 This game harks back to the serial science fiction shows from the 1930s to the 1950s, and the system uses a single six-sided die. 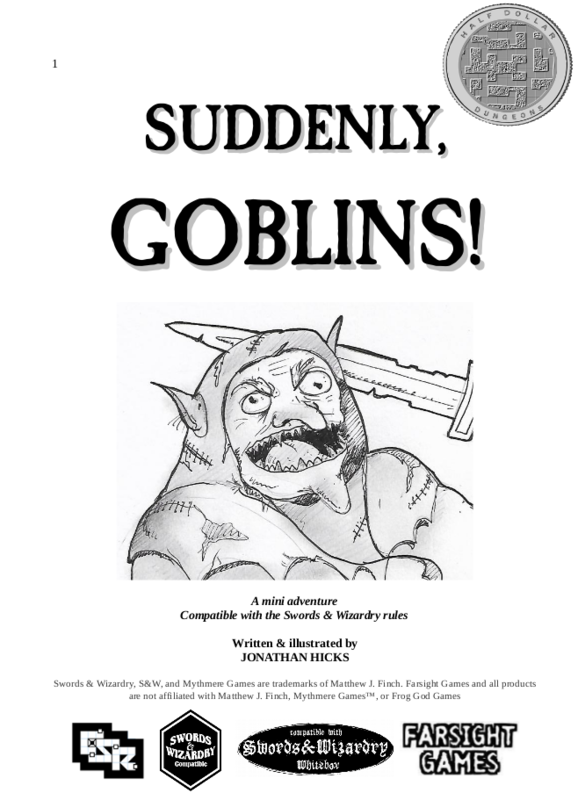 Contains rules for character creation, monsters, vehicles and starships, and a short adventure. Also included in the adventure are some extra rules to help recreate the pulp action genre, giving players the chance to not only stand a better chance of surviving but also giving them the option to take more chances at feats of derring-do! It should last a couple of sessions and you may get some use out of it in your own science fiction campaign. 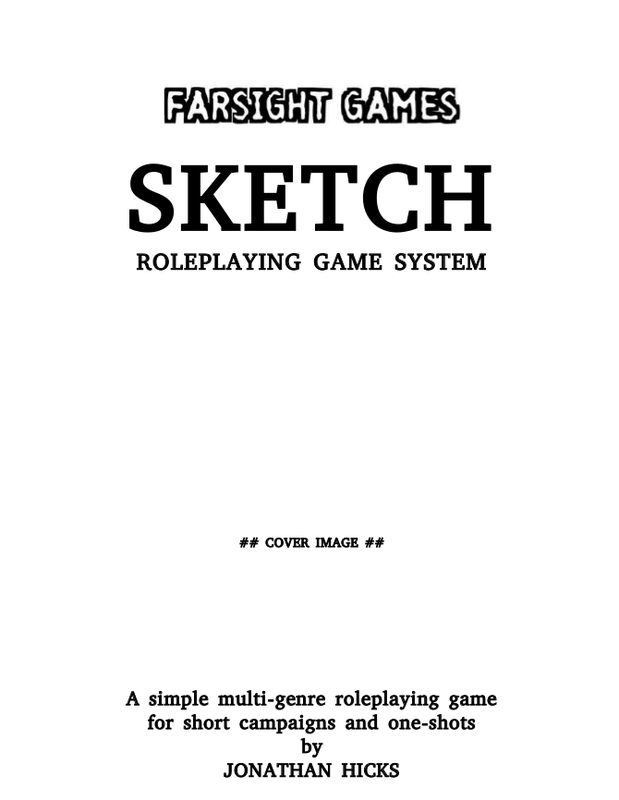 Farsight Games will be releasing the SKETCH system on www.drivethruRPG.com as a 'Pay What You Want' product. 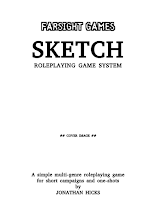 This isn’t the first version of this game; the SKETCH system was first designed and released more than ten years ago along with several settings and enjoyed a brief time in the light. This new version of SKETCH cleans up the rules a little and adds an option or two, but retains the simplicity of the original. 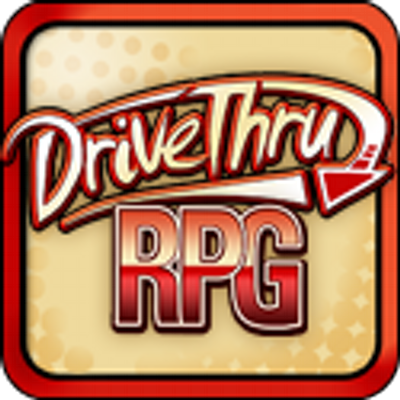 It’s assumed that you are already familiar with tabletop roleplaying games. 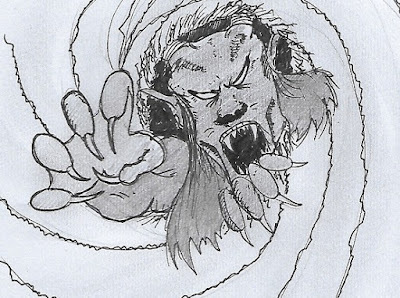 SKETCH games are designed for one-off, single night adventures, for when gaming groups are taking a break between campaigns, or if a few players want to do a fast off-the-cuff adventure with no intention of getting involved in a long campaign. Of course, it can be used for long campaigns if you really want, but the simplicity of the rules and character creation is such that a game can be set up in minutes and run in just one night. The rules are simple and easy to use, requiring only the use of one six-sided dice for all aspects of the game. So, if you find yourself stuck for an evening’s adventure and need something to play at a moment’s notice, or you want to playtest a new campaign setting you’ve designed, then a SKETCH game is your answer. You can use the SKETCH system to create your own adventures, campaigns and settings using the OGL, and even sell your products as you see fit. New adventures and campaigns coming! Here at Farsight Games I like to keep things simple and fun and try to reflect that in my work. The majority of products are uncomplicated PDFs of a low page count and cost; keeping these down means that you can print at your leisure or read from a device with ease, without having to spend lots of extra money on PODs or professional printers. I like to keep things basic; this means I can produce material that’s perfectly suited to a gamer’s needs, make it available quickly and cleanly and always have something new in the pipeline. 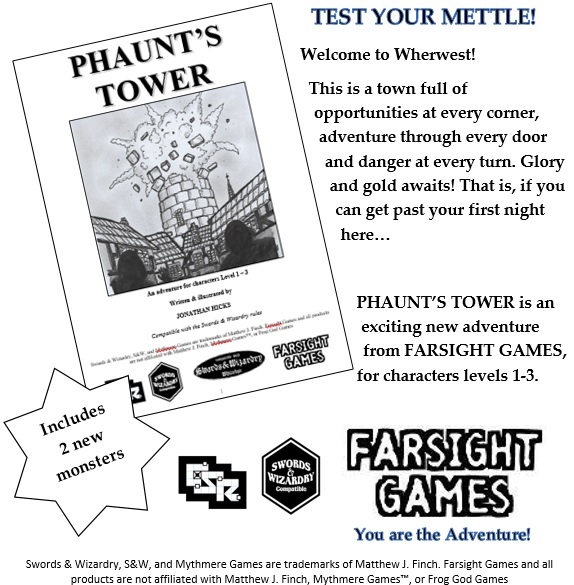 Welcome to Farsight Games - I'm looking forward to gaming with you! All original content Copyright (c) Jonathan Hicks / Farsight Games. Awesome Inc. theme. Powered by Blogger.